I thought about this and decided i’d want the power of invisibility. I guess this makes sense now, considering how much i enjoy observing and analysing human behaviour – you need to be truly invisible to not have an observer effect. My manager however decided upon the power of persuasion. He said if he had the power to persuade anyone to do anything he could do and have whatever he wanted in the world. Luckily for us, persuasion is something that can be learned, practised and used in our daily lives. Brands leverage many principles of persuasion to convince us of their value and to purchase their product. It is no coincidence that the Loreal adverts now show Cheryl Cole as their brand ambassador. She is officially the most liked female in the uk. 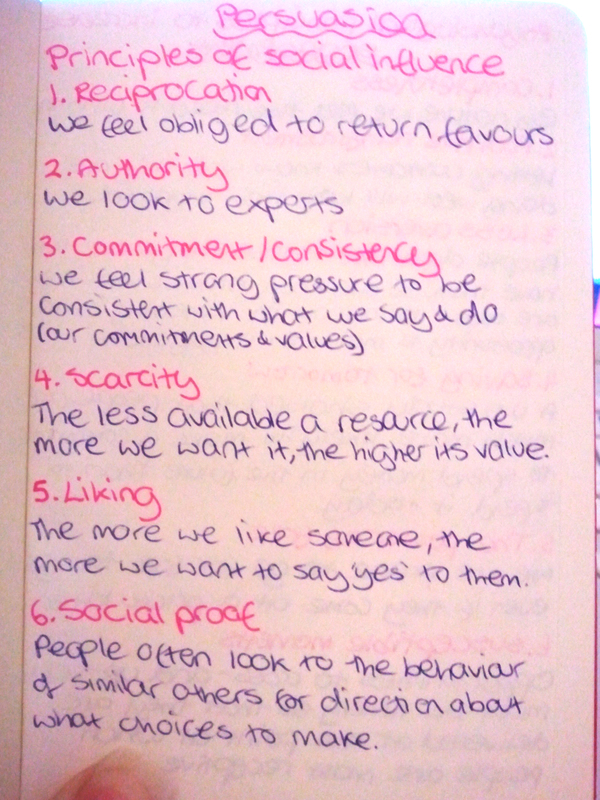 People are more likely to trust her and be persuaded by her as she has a very high ‘Like’ factor. She also provides ‘social proof’ however there is more resistance now to celebrity social proof as people look more towards their peers for advice. 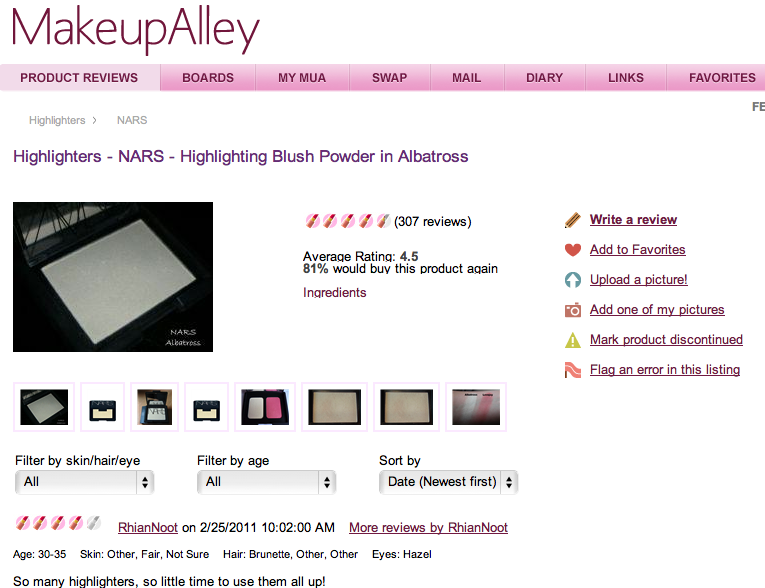 Sites such as makeup alley (shown below) rely on social proof to work. Users can read what their peers think of products, they can see the rating they gave it, what percentage of people would buy the product and importantly, they can see that the people are real. Companies often use scarcity to act faster or pay more. Below is an example from a website that sells bedroom furniture. They use both limited time free delivery and a limited number of free drills to try to persuade the customer to purchase their products soon, otherwise they will miss out. People have a fear of loss so the thought of potentially losing something that is ‘free’ (another motivator) can be enough to get them to act. We all look to experts for advice and recommendations. Even amongst our peers, we have experts who we turn to for advice. For example, if you need a new TV you might ask cousin John as he always knows a lot about entertainment systems. Or if your cat is ill, you might ask your friend Sarah for advice as she’s got 3 cats and is cat crazy! Each person is highly persuasive in their own way. Persuasion is a fascinating subject area and i’ll be covering it in more depth in future posts, in particular how you can design to persuade.